Before you start your meditation, there are a few settings you should double check on your iPhone, iPad or iPod Touch. Most of these you can easily check in Control Center (swipe up from the bottom edge to view). On the side of your device make sure you're not on mute. If you have the switch setup for rotation lock on an iPad, make sure mute isn't turned on in Control Center. This volume slider does nothing to control notification sounds. You would think this volume slider in would control volume across your whole device. However this isn't the case. You really need to open up the Settings app and tap on "Sounds"
Under "Ringer and Alerts" you will see a slider. 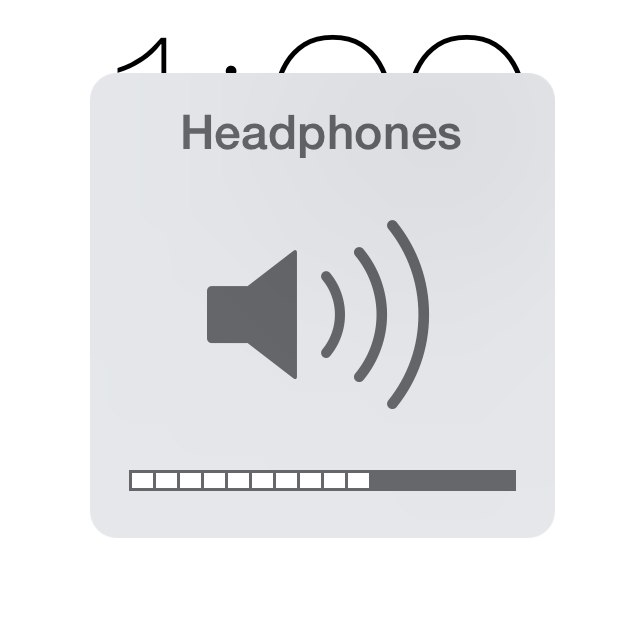 This is the volume control for notifications and your phone ringer. If the "Change with Buttons" switch is enabled, this will change the bell volume, but only whenever other audio, including music, videos, games and podcasts, are not playing. If you see this while pressing the volume buttons you're all good. The easiest way to tell the difference if the volume buttons are adjusting the Ringer and Alerts volume is the icon shown when pressing the buttons. If the icon is a bell, you know you're adjusting the Ringer and Alerts. If the icon is a speaker, you are adjusting the playback volume. If you see this while pressing your volume buttons, you should should adjust the "Ringers and Alerts" volume in Settings App > Sounds. Make sure Do Not Disturb is not turned on. This is may be counterintuitive, but Do Not Disturb will interfere with Lotus Bud. It will prevent notifications from making a sound, vibrating or turning on the screen. When you have this on you're telling your device don't disturb me no matter what, so if you wake up early to meditate and Do not Disturb is still turned on from the night before, remember to turn it off. So what's a meditator to do if they want to have minimal interruption during their meditation without silencing the meditation bell? Airplane Mode. Airplane mode will turn off all internet access. This will prevent any external push notifications from coming in, text messages, email, phone calls and any other notifications from the outside world will wait until you're done meditating. Any local notifications can still be heard, like the ones Lotus Bud uses to let you know when your meditations done. This won't stop all interuptions from your phone, but it'll make it signifigantly better. If some apps are still regularly chiming in you can turn off sounds for them in Apple's Settings app in the Notification Center. Be sure to turn Airplane Mode back on after after you've finished your meditation. Reducing distractions is all well and good, but this is meditation practice, and annoyances are great fodder for meditation practice. There are also always going to be external sounds and movements that you can't control. Make these a part of your practice by being mindful of sound. This is an important practice whether an "interuption" is internal or extrenal. Holding those experiences lightly and meeting them non-reactivity is a very powerful practice.